eBay Philippines, www.eBay.ph is introducing a new innovation in its system. This innovation will offer lots of cool discounts and privileges to members of the website. The latest innovation is eBay's group-buying feature, Kuponan. 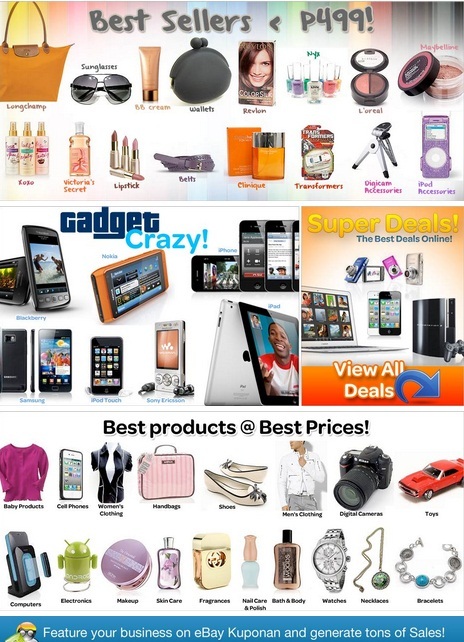 Kuponan.ph will offer you a whole lot of crazy deals. For example, a 3 days and 2 nights stay in Palawan which is originally valued at P8,480 costs only P4,950 if you get it from the website. 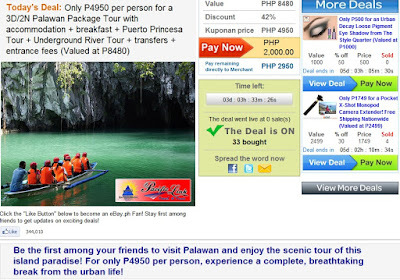 The deal includes accommodation + breakfast + Puerto Princesa Tour + Underground River Tour + transfers + entrance fees. If you like the deal you will be given an option to pay a certain rate immediately and a certain portion can be paid directly to merchant. For example this deal will ask you to pay P2,000 upfront then the balance will be paid to the merchant or seller. 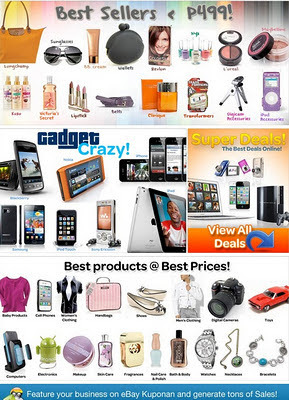 To avail of great discounts from Kuponan.ph, you must first be registered at eBay.ph. Registration is simple just follow the steps and activate your account through your email. Upon activation you are ready to shop and get lots of discounts. 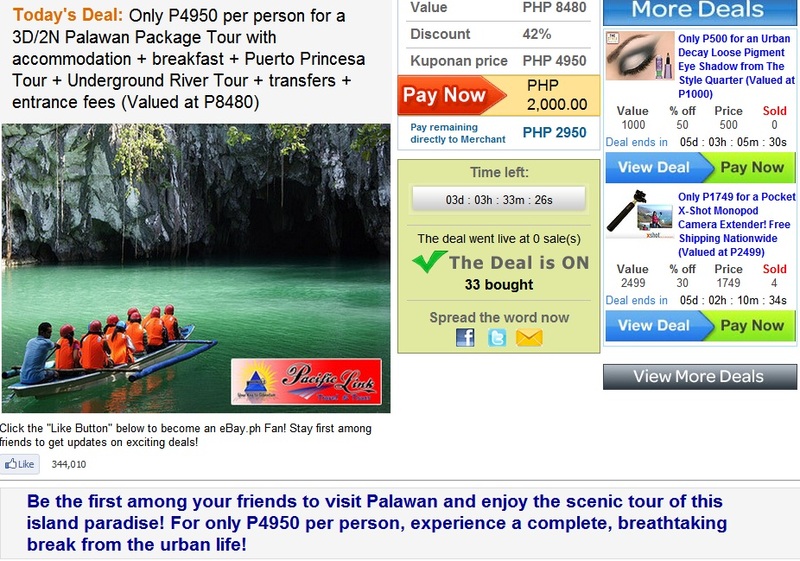 If you decided to commit to buy an item, say the 3D/2N stay at Palawan then you have to commit it to the merchant. Upon submission you can then pay via PayPal and other payment options. Kuponan.ph is however not only a website for buyers because it is also a hub for sellers. Using the features and viral marketing strategy present in this site seller can see an additional revenue. Although eBay requires sellers to give a discount of about 50% or more the deals will only be posted for 72 hours and this means that more people will be interested to get that service or item. Therefore for sellers Kuponan.ph can help boost the business cash flow, an inexpensive and effective advertising and new customers. Daily deals in Kuponan.ph are usually able to attract many new clients by offering discounts that get the first-time customer in the door. To know more about eBay.ph's Kuponan you can check out this FAQ. Thanks for reading and happy buying and selling!